Discussion in 'iPhone and iPad Games' started by Boardumb, Oct 19, 2018. 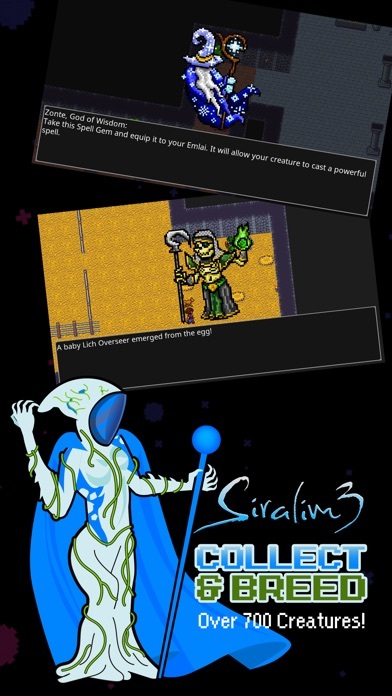 Siralim 3 is the deepest monster catching RPG in existence. 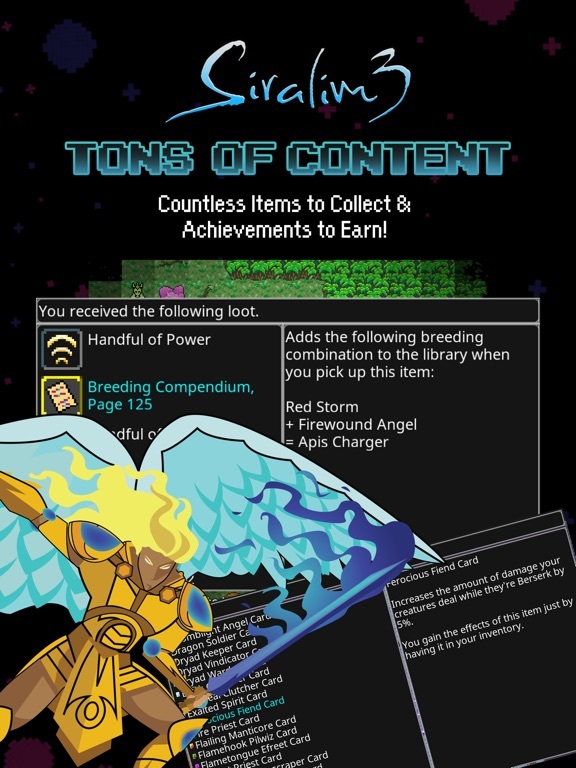 If you're looking for a game with an unbelievable amount of content that will last you for hundreds (or even thousands) of hours, this is the game for you! 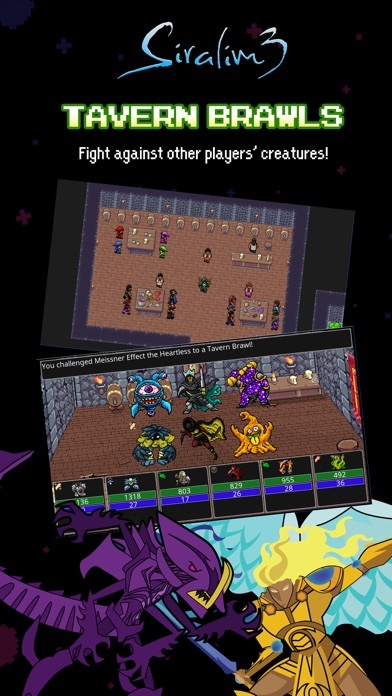 FEATURES • Collect and breed over 700 different creatures to fight for you in the deepest monster capture RPG in the world. 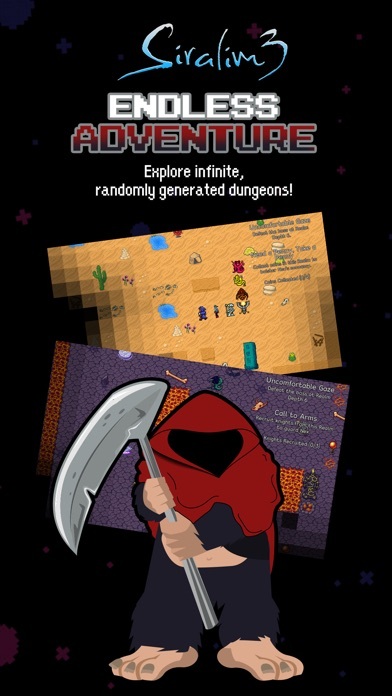 • Explore randomly generated dungeons with 15 unique tilesets. • Craft artifacts and spell gems to equip your creatures for battle. • Infinite playability - there's not even a level cap. New features are introduced well-beyond the 100-hour mark. You'll never run out of things to do! 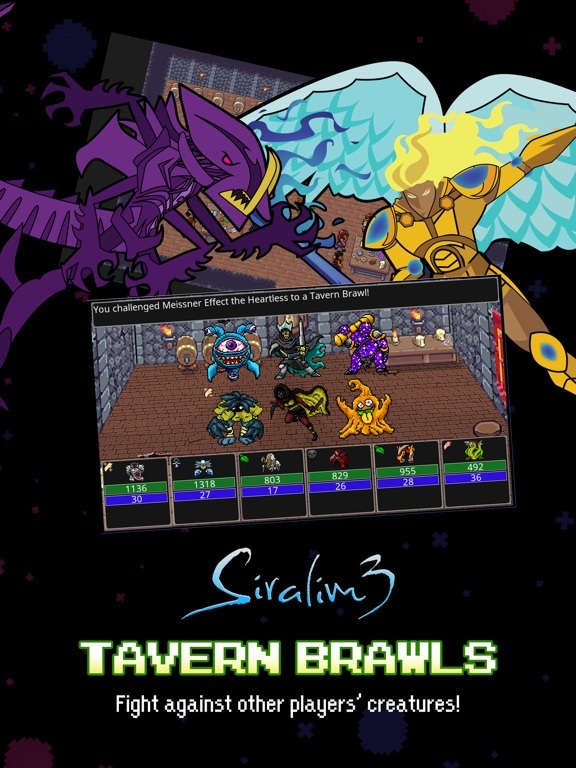 • Rich end-game content, including Itherian Realms, super-bosses, arena battles, and much more! 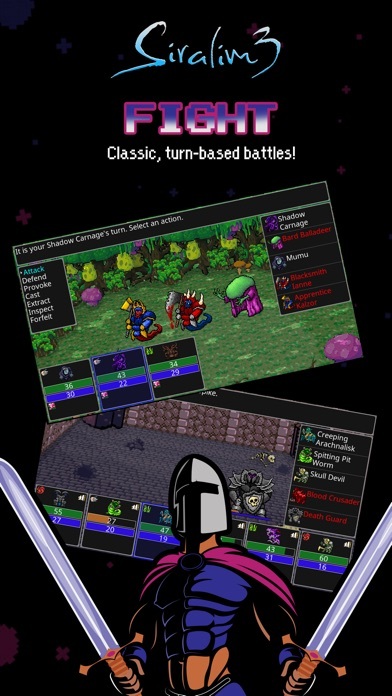 • Asynchronous player-versus-player combat allows you to fight against other players' creatures! • Supports gamepads! • Cross-platform cloud saving allows you to pick up where you left off on a different device! • No paywalls, pay-to-win microtransactions, energy systems, ads, or any other BS! And no, you don't need to be connected to the internet to play. 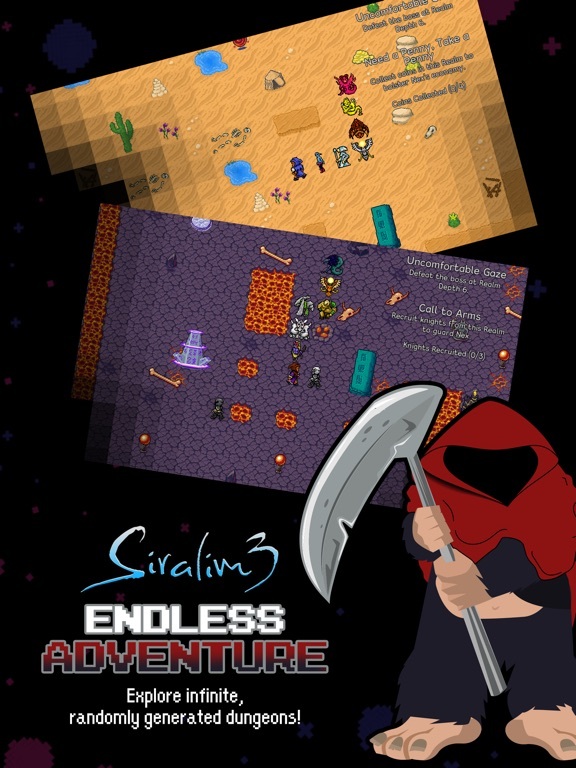 Hi everyone, I'm Zack, the developer of Siralim 3! If you have any questions about the game (or run into any problems, or have a suggestion, or...), just ask. Also: a huge thanks to TouchArcade for their continued support of our games! 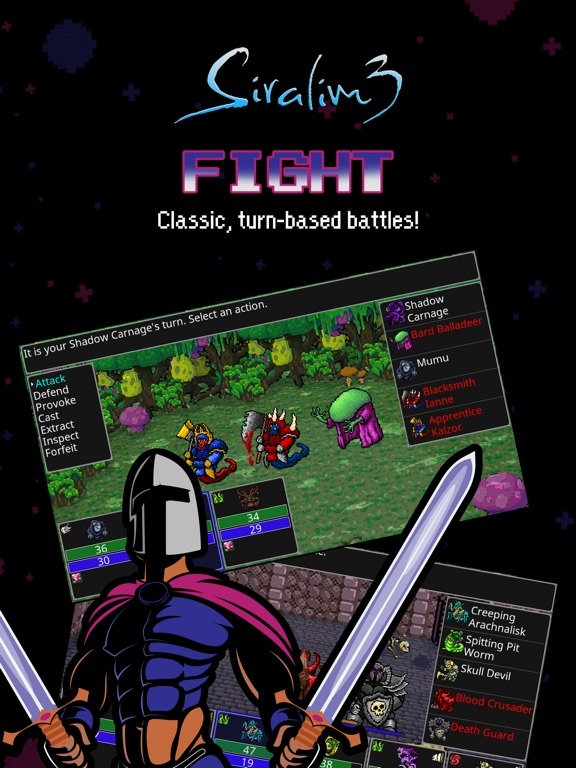 I found the “roguelike” is not in the title this time, is that mean Siralim 3 is not roguelike anymore? It's more of a monster taming RPG than a roguelike, so I opted to include that in the title instead. If you're wondering if it plays the same way as the previous two games though, the answer is yes. nenastya and Lull4by like this. Thanks for fast replying, I am in! Instabuy. I don't say that about many games, but Siralim series is one of the best out there. Great week for gamers. Awesome, thanks for your support! Hope you enjoy the game. Thanks Hymnlocke, I appreciate that! There's a ridiculous amount of content that I'll be releasing for the next several months. My next major task is to add customization for the touch controls - you'll be able to change their position, size, opacity, and even their images. Wow really?! Welcome & Great! i can't see on screenShot, is this one optimize for the iphone X screen ? Yes, it'll shift the UI slightly so it's not covered up by the notch. 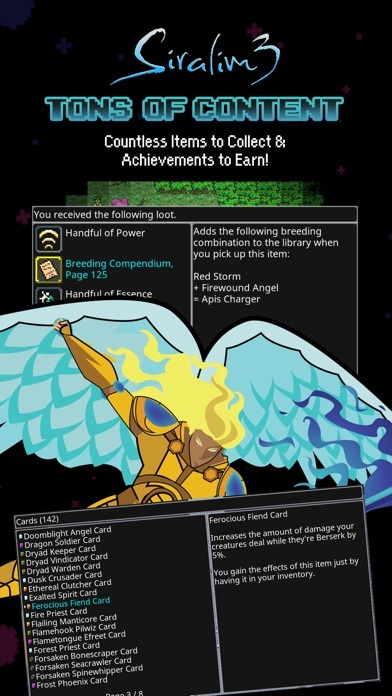 Thank you for releasing this game on mobile ! Thanks! Always glad to hear from you. Instant purchase from me of coarse. And there I was thinking it was weeks away. Very good to hear you will be adding touch controls customization. I quickly went to the options when I installed it on my big iPad Pro and was dismayed that the usual control options were missing. Atm the controls are stuck in the middle of the screen. Currently that makes playing the game on my iPad a no go for me. About 90 minutes until I have the time to finally buy into this. 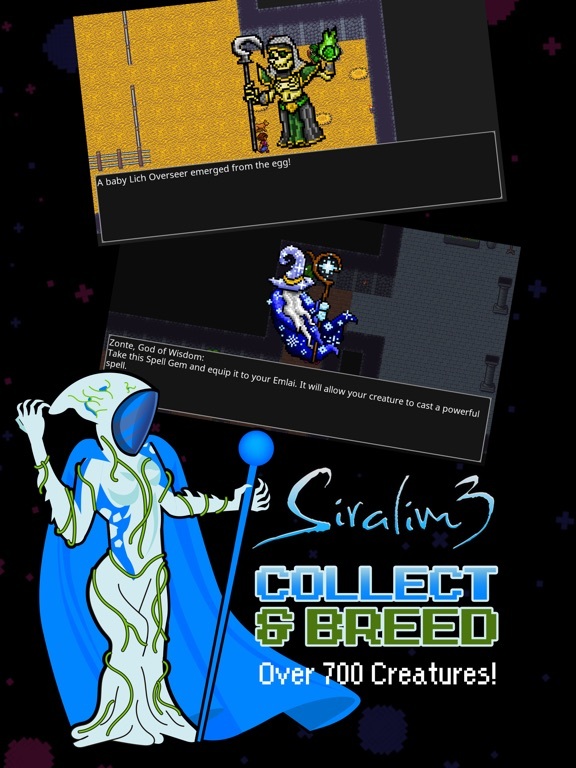 Have greatly enjoyed Siralim 1 and 2 and the wait is killing me slowly anyone on the fence can safely buy this one if he/she is even remotely interested in quality rpgs and monster collecting without stupid gatcha mechanisms. The games are true gems on mobile with really polished and unique gameplay! I didnt turn S3 on yet but on S1/2 you have turbo mode thats nearly automation, pretty sure S3 has this too. The controls are in the center of the screen? That's... really strange. I just re-tested on my iPad Pro and my iPhone 6 Plus, and even tested on emulators for both of those, and I'm not seeing the problem. Could you please try reinstalling the game? Edit: Ah, maybe I misunderstood you. I thought you meant the controls were in the absolute center of the screen. Sorry about that! If I haven’t played the first two, would I be lost? This sounds fantastic and it’s always had a great rep on TA. Nope, each game is independent in that regard!